All across Hawaii and the nation, events are held each September to raise awareness about prostate cancer prevention, diagnosis, treatment and survivorship. 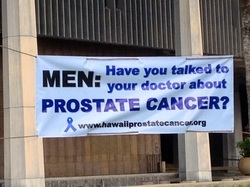 Our banner is hanging at the State Capital, reminding men to speak with their doctors about prostate cancer. 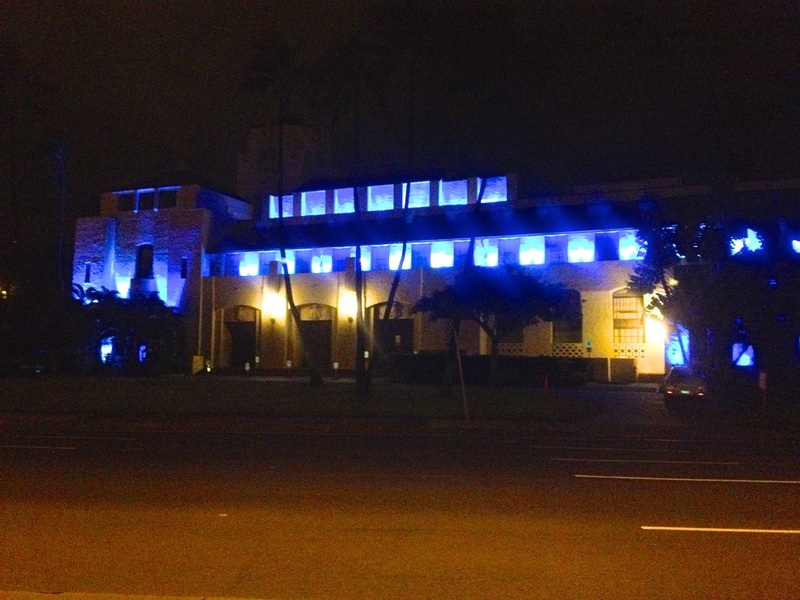 Thanks to the support of Mayor Kirk Caldwell's office, Honolulu Hale is lit blue for the month. 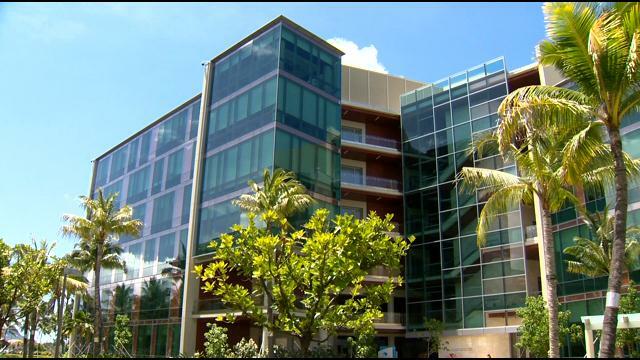 There will be tours at 5:00 pm and 5:30 p.m,, light pupus, and an opportunity to find out more about UHCC research and prostate cancer care in Hawaii. Click here to see the agenda for the Forum. 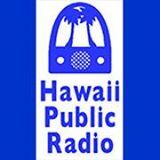 Charles Rosser, MD of the UH Cancer Center and Paul Mizue and Steve Davidson of the Hawaii Prostate Cancer Coalition will answer questions with Dr. Kathy Kozak.